Father’s Day is coming this weekend and this is the one day in the year that men get to have some spotlight shone on them. That is if you are a father. If you are, Happy Father’s Day to you and your family. I hope you have a great day. If you are not, give a kind word and possibly a gift to your father or a man that is a father. As a gentlemen we have a huge responsibility to the world. Not only do we have to carry ourselves as examples of how men should behave, we must instill in our children the values of being and recognizing gentlemen. This article will speak primarily to gentlemen that are fathers, and the plight that we find ourselves in, during this modern era of uncouth behavior. It seems for the last 20 or 30 years the importance of fathers has been diminished in the eyes of the world. Fathers are seen as just above children in the scheme of the family in the eyes of the media. From someone like Al Bundy to the fathers on Still Standing and Two and a half men to Homer Simpson and Peter from Family Guy, fathers are seen as bumbling and callous to raising their kids. The days of Father knows best is not seen on television often. This has led to a new normal. Which is the view that many women have, that fathers are not important nor necessary once they leave the bedroom. If a child is used to not having a father in the home or even in their life, they in turn will have kids and either be absent or accept a man being absent. The result of this is not pretty. Generations of men who behave like women and women who do not know how to be ladies. There are many women who do not know why a man should walk on the outside of her while walking down the street. Many boys do not know why they must stand up when a woman comes to a table. If we as fathers and gentlemen don’t teach then they won’t know nor will they teach their children. Fathers have a huge role in not only the boy’s lives but also the girls. A daughter needs her father to be the standard that she will judge men. If he is not in her life she has a greater chance of looking to relationships with men as a replacement and that does not turn out well often. Remember men our sons will follow our examples more than our advice. The consequences of absent fathers are immense. Children with absent fathers are more likely to live in poverty and never escape it. Children living in female headed families with no spouse present had a poverty rate of 47.6 percent, over 4 times the rate in married-couple families. They are more likely to commit suicide, use drugs and over drink. These kids have a higher dropout rate and lower grades and are more likely to commit crime and end up in the criminal justice system. Gentlemen, it is of upmost importance that we are in our children’s lives. We owe it to our children and society to raise gentlemen and true ladies. Do not allow this feminist independent movement to influence our young girls as we raise them to be ladies. Also we must be careful who we have children with, choose wisely. A leopard does not change its spots, look for inner beauty not just outer beauty. I know it’s hard (I have made this error myself) but being a gentleman is not easy, and remember this will be a person you will have to deal with for the rest of your life. Now I will get off my soapbox and move to the lighter side of father’s day, the gifts and time with the family. In the show “Everybody Hates Chris” there was an episode called “Everybody Hates Father’s day”. It is well worth the watch if you can find it on you tube or a streaming service. The gist of the story is that Chris is trying to find a father’s day gift for his father Julius (one of the few working class fathers that is shown in a positive light), and all Julius wants is a day alone. Again it is well worth the watch. We already know that Father’s day is not held with the same esteem as Mother’s day. It seems the stores start stocking for Mother’s day in March, while Father’s day gets a corner in the store sometime in the beginning of June. Have you noticed that restaurants are packed on Mother’s day, but on Father’s day they are empty, no reservation needed. What about the Father’s day gifts. I love ties and socks, but I need to pick them out, I know my personal style. I don’t need the white or black calf length socks nor do I need another world’s greatest dad or multicolor circa 1992 tie. Mom gets to wake up when she wants to, then head to a nice brunch that is paid for by someone else, and then they get to do whatever they want. But for Father’s day if we do get to sleep in, it is only because the kids and mother haven’t made breakfast yet. I remember many times hearing my kids come in bright and early to see if I was up (they never got up that easily for school) and while I played sleep then they would leave, so I really didn’t get to sleep in. If you as a father do get to go out to eat or get gifts from the family, be honest how many times have you paid? It may not be out of your pocket but it will come out of the joint account. So you really are paying for your own meal and gifts. That doesn’t happen on Mother’s day. 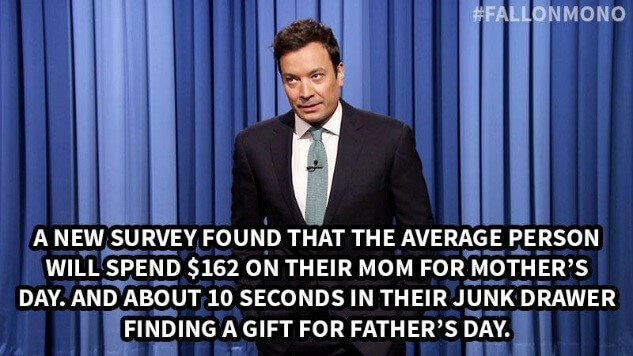 Here is the kicker, the average spent on Mother’s day is 40% higher than Father’s day. 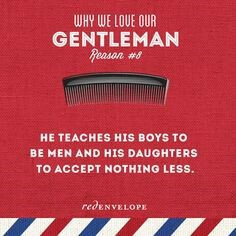 With this being said we as gentlemen appreciate any gesture of love our family gives us. The above paragraph was meant to be taken lightly and in jest. Seriously though, the true measure of a man is how he raises and touches those in his life, and there is no amount of money or gift that can compare to a gentleman touching lives positively. But gifts are nice, and since we are so close to Father’s day, let’s look at a few gifts you can hint for that are not expensive that any gentleman will find a use for. As much as fredDclassicgentleman loves ties, socks, cuff links, these are basic things, let’s think outside the box for a second. Here are some gifts that you can hint for that will not break the bank. They can be found for less than 50 dollars U.S. 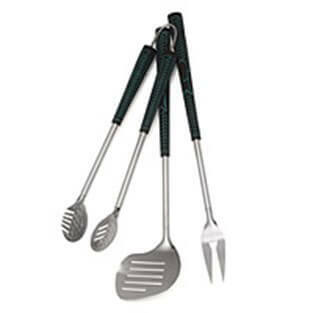 This is a golfers BBQ set, or a set personalized golf balls. If you are an avid golfer this is a perfect gift. I thought this was cool. This is a whiskey rock set. 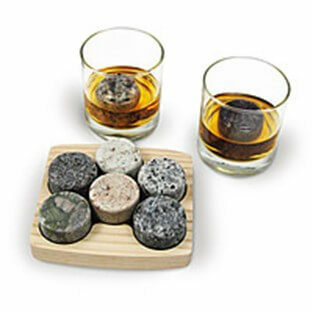 The rocks are ice and you can find this with two or four glasses. Perfect for the father that loves a nip with his friends. Great conversation piece. Scoreboard art. 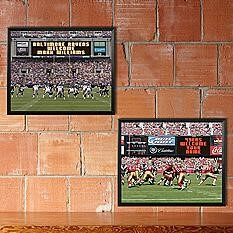 Perfect for the sport team fanatic. Looks great in a man cave. You can get them personalized for that loving touch. Beer caddies, need I say more. 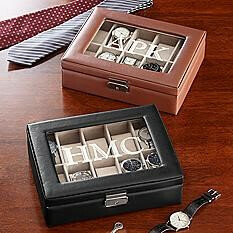 Watch or cuff link holders. The modern gentleman has multiple watches and cuff links. You will appreciate a place to store and display your accessories. These are just a few gifts you can hint for. As a gentleman there is nothing wrong with hinting to get what we would want. 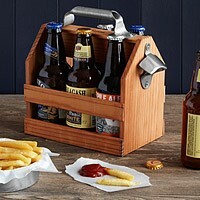 If you want a beer caddy why not drop hints, because if you don’t you may get, more ties (that you probably won’t wear) or socks (we mean the solid black old man socks). Even the classic gentleman drops hints. 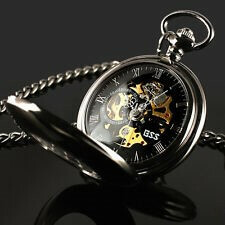 I am hinting for a pocket watch. I hope to get it. So in closing, HAPPY FATHERS DAY GENTLEMEN. I hope it is a restful, enjoyable and productive one.